One of the 16 Myers-Briggs personality types, the INFJ is known for being highly empathetic and creative. Nicknamed “the counselor” personality, we have a deep desire to be of service to others. We take time for the people in our lives and love diving deep in our relationships to connect authentically. In many ways, INFJs see people first and everything else second. We’re the friend or partner who’ll drop everything to help you — even if it comes at a cost to us. INFJs tend to put themselves last on their priority list. And this all too often drains our energy, making it hard for us to help ourselves, and in turn, help others. INFJs aren’t the only personality type to suffer from emotional burnout and exhaustion, but it’s a common problem that almost all INFJs experience at some point in their lives. That’s because we have several personality traits that make us prone to it. 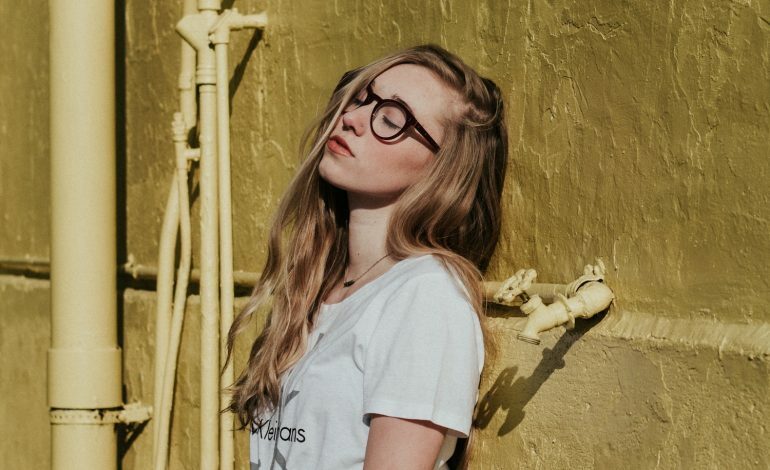 Let’s explore why INFJs tend to suffer from emotional exhaustion — and why self-care is so critical for this personality type. If you’re an INFJ, you’ve most likely had the experience of friends, family, and even strangers unleashing a heavy emotional burden on you. The combination of the INFJ’s Introverted Intuition and Extroverted Feeling enables us to pick up on the inner workings of the people around us, a skill we often utilize when relating to friends and family. Combined with our quiet and calm way of functioning in the world, people often view us as “safe” people to open up to. In other words, INFJs are often the ones who get the call after a bad break-up, the diagnosis of a serious illness, or just a terrible week that’s gotten too heavy to bear. As much as we cherish the depth of our relationships, these interactions can really drain us. If we don’t find a way to relieve the burdens placed on our heart, soon enough, our legs will start shaking under the weight of them. In addition to our tendency to become dumping grounds for emotional baggage, INFJs are susceptible to absorbing other people’s emotions. Meaning, we don’t just sense the emotions of others, but we actually start feeling them ourselves. Many INFJs are also empaths and highly sensitive people, which explains why this personality type is often a sponge to the emotional states of others. For INFJs, it’s often incredibly difficult to not let the distraught emotions of a loved one impact us, and when we’re getting slammed by different people asking for our help, how can we possibly say no? And when we struggle with boundaries, as we INFJs tend to do, it becomes incredibly hard to separate our emotions from those of others. Carrying other people’s burdens makes our own heavier. Add to that our introverted susceptibility to being drained by things like parties, classes, and other social events where we’re often mistaken for extroverts, and the perfect storm of emotional exhaustion is created. In order for the INFJ to love as deeply, help as effectively, and live as fully as we desire, self-care is an immensely important habit we must learn to incorporate into our daily lives. Sleep is arguably the most important self-care activity for everyone, INFJ or not. Unfortunately, most people put it on the back burner. But sleep is when our brains and bodies recharge. There’s a reason we feel heightened emotions when we’re lacking sleep. We haven’t given our brains time to regroup after a day (it literally cleans itself while we sleep). If your sleep has been lacking, take a nap or sleep in. No other self-care activity will negate the need for sleep. Some of my friends love starting their day off with a long walk, run, or yoga session. Exercise is another one of things everyone knows is good for them, and for similar reasons as sleep. Exercise helps us think more clearly, and it releases the amazing endorphins we all need more of. Exercising activates multiple parts of our brain, incorporating our logic centers and emotional centers, which helps us consolidate thoughts. This leads to that feeling of a clear head or runner’s high. This can be a great mood booster if you’re feeling mentally and emotionally drained. There’s something about being productive that just makes us feel good. As an INFJ, I find I often put off doing certain things because I’m too busy doing things for other people (or my dog). Self-care can sometimes look like cleaning your room, going on a full grocery shopping trip, vacuuming the whole house, making a great meal, or finally cleaning out your car. This all goes back to giving yourself time to do what you want for a day — and sometimes I want nothing more than to feel like my space is clean and tidy. If my space is tidy, I feel like my entire life is more put together. Multiple INFJs pointed out that sometimes, we need to not move. This is why, in an ideal world, we’d have at least two full self-care days: one to exercise and be productive, the other to do absolutely nothing. And when I say nothing, I mean it. This might look like turning on season 1 episode 1 of The Great British Baking Show and not stopping until you’re in season 3. This could also look like re-reading your favorite book or spending time on social media and not feeling guilty about it. Or taking a bath or doing a face mask. Basically, turn your phone on “do not disturb” mode, stay home, and do whatever you want. You might notice there are no people included in the above self-care activities. Because INFJs are often everyone’s caretaker, it’s nice to be alone to take care of ourselves. Sometimes, though, INFJs fall into the trap of feeling lonely when we finally pause long enough to relax. For this reason, self-care for the INFJ may be spending time with someone who actually takes care of you for a change. This might be a best friend, a parent or sibling, a partner, or even a pet. Give them a heads up beforehand that you just want to relax and be good to yourself for the day. Odds are they’ll be happy that you’re finally doing some self-care and will be more than happy to watch a movie, read, bake, or whatever you choose in relative quiet — or listen if you need to vent. INFJs are so people-oriented that sometimes the most effective self-care activity is doing the above suggestions with their favorite person in the same general vicinity. INFJs need a taste of the care they give so freely to others. They deserve a little “me time,” too. INFJ, take good care of yourself — the world needs you to show up and give what only INFJs can offer.